This event is an opportunity to train with Driveline products, programming, and philosophies with the guidance of Driveline staff without having to fly up to their Seattle-area headquarters. Driveline has been at the forefront of data-driven player development for the past decade, and this event will give athletes a better understanding of how Driveline Baseball trains position players using their data-driven approach, as well as an introduction to training ballistically with overload/underload implementations. Using some of the latest baseball technology, Driveline will provide objective feedback for all attendees in several modalities including: mobility screening, bat fitting, swing metric breakdown, batted ball profile report, as well as an introduction to our position player throwing program. This approach allows athletes to receive a fair, objective analysis of where they’re currently at, as well as offer insight to training recommendations moving forward. After finishing his playing career with Arizona Christian in 2015, Tanner was brought on staff by his Alma Mater in 2016, serving as the hitting coach in 2017 and 2018. In 2017, ACU saw tremendous success at the plate in Tanner’s first year as the school’s hitting coach, setting school records for batting average, home runs, extra base hits, slugging percentage, and OPS. 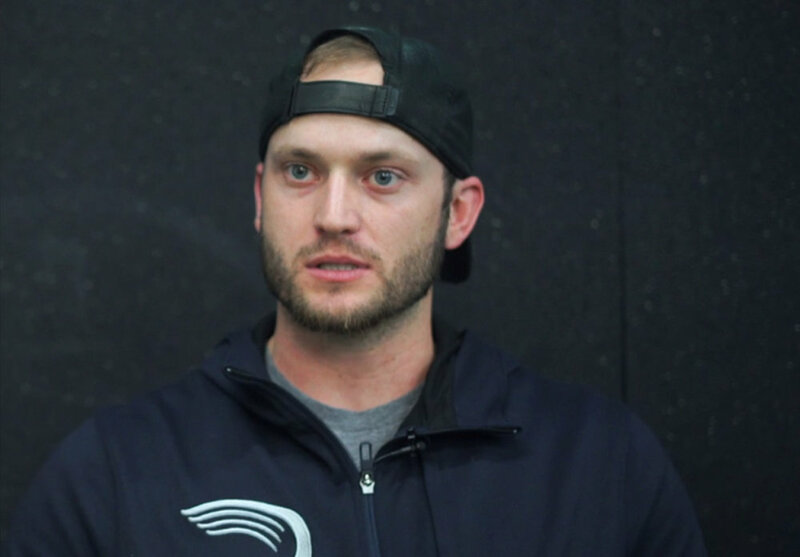 Tanner was brought on staff full time at Driveline in May of 2018 as one of their main hitting trainers and does a great job of communicating “new-age” hitting metrics and philosophies to athletes in an actionable way that’s easy to implement and understand. After a shoulder injury ultimately ended his playing career, Tosh has been on staff at Driveline since December of 2016 in a variety of different roles including throwing trainer and project manager. Tosh brings an excellent amount of value to each athlete he interacts with and is fully adept in every aspect of Driveline’s position player throwing program. A Vancouver native, Tosh is currently enrolled in Seattle University’s Masters of Sports Administration and Leadership program. After finishing his playing career at Houston Baptist University in 2012, Collin spent four seasons (‘13, ‘15-’17) on staff at his Alma Mater, working mainly with infielders and hitters. He was a part of two conference tournament championship teams in 2013 and 2015. Upon graduating with his MBA in May of 2017, Collin was brought on staff at Driveline in April of 2018 and has since been running point on Driveline’s new bat fitting project. Every athlete must bring his own baseball equipment. Players should bring running shoes, hat, helmet, bat, batting gloves and any other equipment they feel necessary to compete. Please mark camper’s names on all items. The camp is not responsible for lost belongings.